Alvin Ailey American Dance Theater’s two-week spring engagement at Lincoln Center’s David H. Koch Theater kicked off in an exceptional way on Wednesday, June 11th with Revelations on the Plaza. 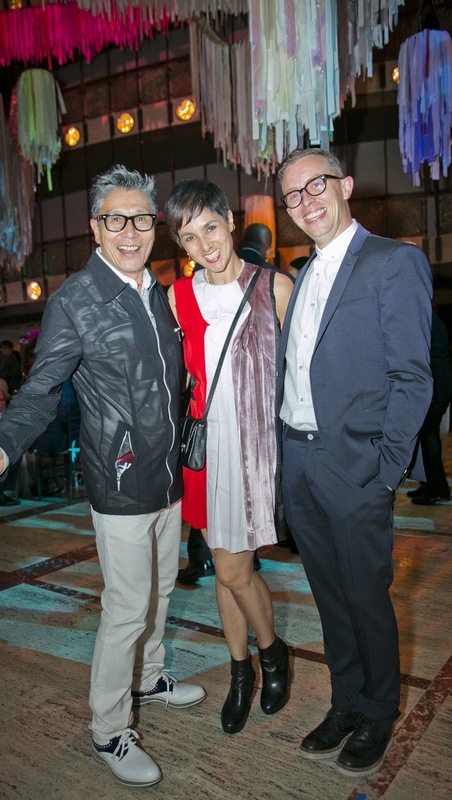 There was a free grand dance workshop, where hundreds of people learned excerpts of Alvin Ailey’s signature American masterpiece Revelations; followed by The Ailey Spirit Gala, a one-night-only benefit performance and party with Honorary Chair Vanessa Williams and sponsored by FedEx Corporation. The evening helped raise over $1 million for Alvin Ailey’s extensive educational programs for young people, including AileyCamp and scholarships to The Ailey School. Great Job AAADT! 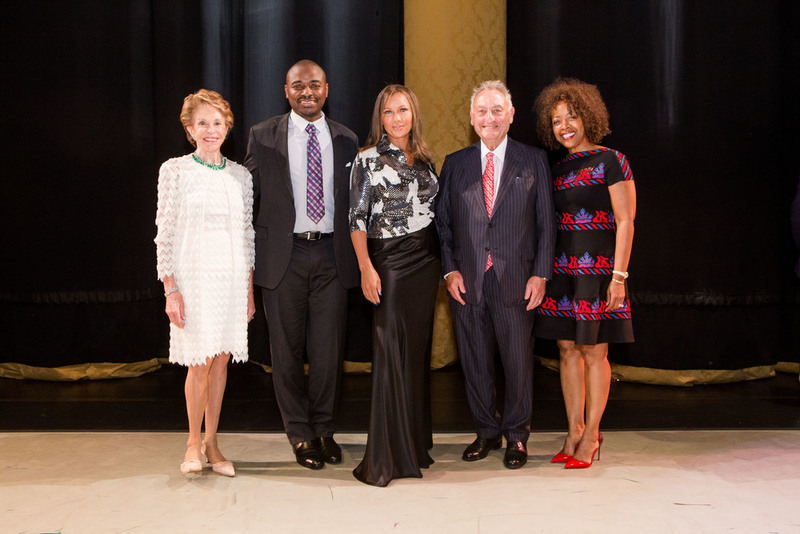 Joan Weill, Robert Battle, Vanessa Williams, Sanford Weill, and Gina Adams at the 2014 Ailey Spirit Gala at Lincoln Center. 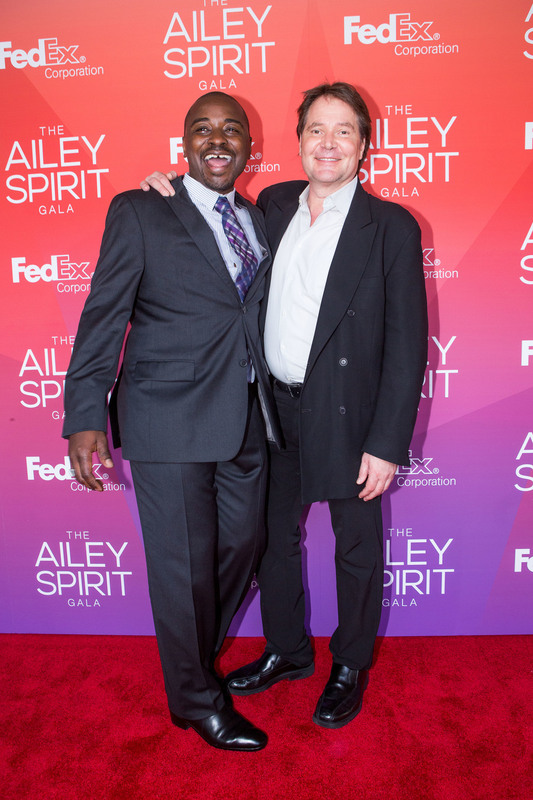 Photo by Dario Calmese Jr.
Alvin Ailey American Dance Theater Artistic Director Robert Battle and David Parsons at the 2014 Ailey Sprit Gala at Lincoln Center. Photo by Dario Calmese Jr.